Ignoring the huge body of western theater history and analysis for a second and just looking at the sesquicentennial-eve state of the Civil War blogosphere, whatever one's opinion of which major theater was the most decisive, it sure appears that the phenomenon of battlefield blogging by park historians, rangers, or anyone acting in an official (or semi-official) capacity is entirely eastern. Maybe the NPS should sent Ranger Mannie and historians Hennessy, et al out west to proselytize among their brethren. Maness & Combs (eds. ): "DO THEY MISS ME AT HOME? : The Civil War Letters of William McKnight, Seventh Ohio Volunteer Cavalry"
Older and married with children, William McKnight was more typical of the later Civil War volunteer than the first wave of ebullient youths. Born in Canada to Scottish parents, he settled in Meigs County, Ohio, working as a blacksmith. In the fall of 1862, the Seventh Ohio Volunteer Cavalry, the "River Regiment", was organized to patrol the southern border of the state. McKnight enlisted in the unit's Company K and was awarded sergeant stripes. Edited by Donald Maness and H. Jason Combs, Do They Miss Me at Home? : The Civil War Letters of William McKnight, Seventh Ohio Volunteer Cavalry contains 108 letters, mostly from McKnight to his wife, Samaria. The letters are those of a devoted family man, with nearly all containing extensive passages detailing the writer's feelings of homesickness. The collection, preserved in its original crude spelling, is not that of a formally educated man, but it does have enough informational depth to be deserving of publication. 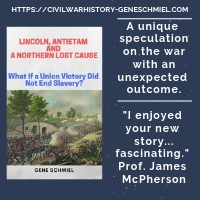 All is not about loneliness and camp life as McKnight also describes many skirmishes and minor battles fought throughout central Kentucky and East Tennessee in 1863-64. The 7th did not engage in significant fighting in Kentucky in 1863, but (now Captain) McKnight's letters dealing with the Union invasion and occupation of East Tennessee (including the capture of Cumberland Gap) comprise a useful record of events. Tragically, McKnight was mortally wounded at Cynthiana in 1864, opposing another of John Hunt Morgan's raids into Kentucky. Letters from family members are included in this final section, several informing Samaria of the fact and circumstances of her husband's death. Although they might have been more helpfully placed at the bottom of each page, Maness and Combs's endnotes fulfill well their explanatory role, as well as the straightforward task of identifying persons, places, and events mentioned in the text. In addition to their notes, the editors also provide general and chapter introductions, some transitional narrative, and an epilogue. Appendices include battle and officer lists for the 7th, a roster of Company K, and some tabular data about Ohio's troop contribution to the Union cause. Useful only for general orientation, however, the few maps present are inadequate in number and detail. Overall, with its subject's experience of events not often addressed in the literature and the book's sound editorial work, Do They Miss Me at Home? is recommended reading for western theater students, especially those most interested in the war in Tennessee and Kentucky. 1. Stoneman's Raid, 1865 by Chris J. Hartley (John F. Blair Pub, 2010). I've been looking forward to a book length military history of George Stoneman's 1865 Raid through Tennessee, Virginia, and North Carolina for some time, and, at a glance, Hartley's work looks like all that one might hope for. The maps are a bit crude on the design side, but they are informative and there are enough of them. The well documented work sports a massive bibliography based on primary sources. Given the material and presentation quality of the hardcover, the price is very reasonable to boot. If it proves to be of the definitive nature that I suspect, this is the kind of book that will become a collector's item. I see that Fort Davidson and the Battle of Pilot Knob: Missouri's Alamo by Walter E. Busch, part of The History Press's Civil War Sesquicentennial series, is scheduled for a September release. 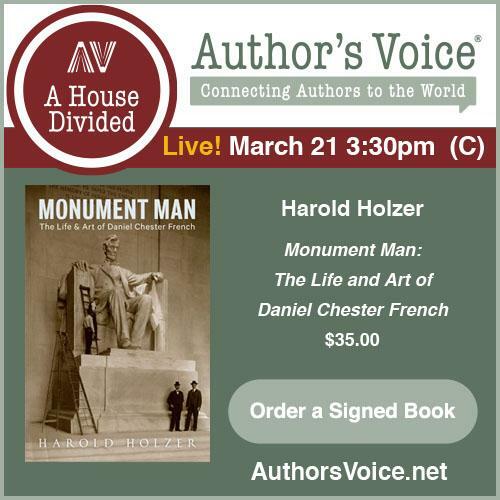 Busch is Site Administrator for the Fort Davidson State Historic Site so I have high hopes for the book. Currently, the best work on the subject is Bryce Suderow's out of print Thunder in Arcadia Valley. Grear: "WHY TEXANS FOUGHT IN THE CIVIL WAR"
With Texas perhaps more than any other Confederate state, unusual emigration and immigration patterns defy the formation of general statements about soldier motivations. In the ten years preceding the Civil War, the population of Texas increased three fold. Most of this increase came from other southern states, but sizable numbers of foreign born persons, mostly from Mexico and Europe (Germans, with some Poles, Czechs, and Wends) also lived in the state. By 1860, native born Texans were a distinct minority. In broadest terms, what motivated Texans to fight (e.g. honor, manhood, defense of slavery, devotion to home, sense of adventure, etc.) mirrored that of other Confederate states, but a major theme of Charles Grear's Why Texans Fought in the Civil War is the exceptional scale of multiple local attachments among Texans and how this led many to leave their new homes far behind to enthusiastically fight in the western and eastern theaters. With so many recent migrants to the state, 'home' meant more than one place. Important extended networks of family and friends were left behind in the states of the border, upper, and lower South, motivating Texans to defend those areas with a passion. The author contends that this zeal only waned when Texas itself became directly threatened and, most important, the Mississippi River was closed. Grear argues persuasively that the fall of Vicksburg proved to be the watershed event that opened the floodgates of desertion among Texans serving east of the Big Muddy. Perhaps due to Texas's geographical isolation and few initial military threats, its fighting men seemed to have been granted more freedom to selectively enlist in those units best situation to satisfy personal motivations. Grear, through excellent use of journals, diaries, letters, and census data analysis, develops this point in some detail. Thus, coastal residents enlisted in regiments formed to defend the coast. Those from the wilder regions of the northwest joined militia units, or the later formed Frontier Regiment, to block Indian depredations. Men motivated by Manifest Destiny and/or the expansion of slavery into the desert southwest went into the Sibley Brigade. Finally, Grear's analysis of representative units that fought east of the Mississippi River (Terry's Texas Rangers for the West, and Hood's Texas Brigade for the East), found that indeed those regiments had significantly higher percentages of southern migrant enlistments than the average Texas Civil War regiment. Of course, not all Texans supported the war. Germans who immigrated straight from Europe to Texas, with no stops in between, were generally pro-Union and anti-slavery, while those that had previously lived and worked in other southern states tended to adopt local mores. Out of the almost 10,000 Tejanos that fought in the war, most joined pro-Union units, not surprising considering their treatment by Anglo-Texans prior to the war, but their support was fickle at best. The latter finding is entirely in line with that of Jerry Thompson, the best known scholar of the subject. If rather too repetitively put forth in the text, Grear's conclusions about what motivated Texans to fight in the Confederate and Union armies are nevertheless well supported by the impressive range of evidence presented and analyzed. No other book is devoted solely to this subject, nor does any that examine it in part do so with comparable depth. Why Texans Fought in the Civil War is highly recommended. There have been several general works of quality about Civil War railroads, as well as book length looks at specific companies. I've never read Summers's older The Baltimore and Ohio in the Civil War , but a pair of recent works about the Charleston & Hamburg and Charleston & Savannah railroads are well worth a reader's time. Next February, we'll see a new history of military events along the Louisville & Nashville by author Dan Lee titled The L&N Railroad in the Civil War: A Vital North-South Link and the Struggle to Control It . According to the book description, it will also scrutinize the wartime relationship between government and influential private enterprise. 1. The Wilmington Campaign and the Battle for Fort Fisher by Mark A. Moore (Da Capo, 1999). Of course, Fonvielle's masterpiece The Wilmington Campaign: Last Rays of Departing Hope is the 'go to' book for a full history of the campaign, but Moore's book is a visual feast that's become a must-have companion volume. It's out of print and looks like the prices have gone back up, but bookmark it and check back every once in a while. Someone is bound to sell one at a more reasonable price. 2. The March to the Sea by William Scaife (Author, 1993 - 2nd ed.). The text isn't terribly useful but Scaife's accompanying maps are always a treat. 3. 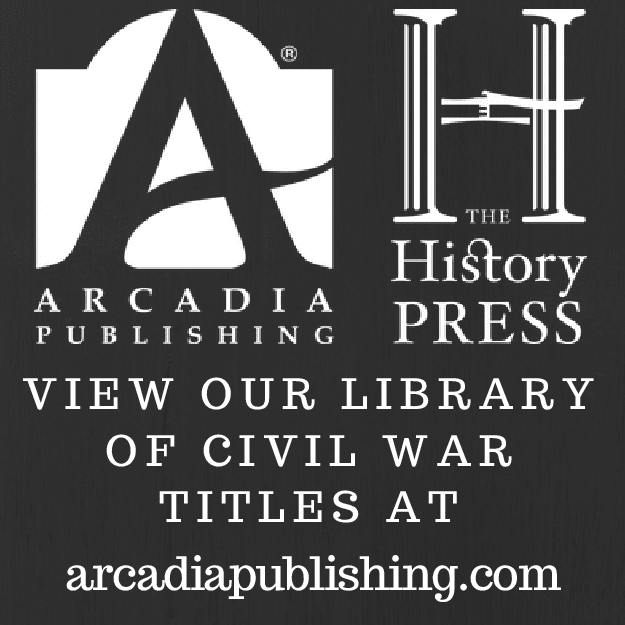 'Him on the One Side and Me on the Other': The Civil War Letters of Alexander Campbell, 79th New York Infantry Regiment, and James Campbell, 1st South Carolina Battalion edited by Terry A. Johnston, Jr. (Univ. of S. Carolina Pr, 1999). Patrick Brennan's Secessionville: Assault On Charleston book made use of the Campbell letters, but Terry Johnston later made them all available in edited form. The same publisher recently reprinted the book in paperback. 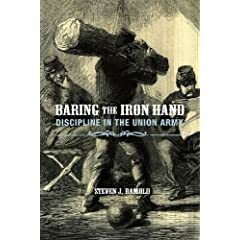 Ramold: "BARING THE IRON HAND: Discipline in the Union Army"
The unruly individualism of the Civil War volunteer soldier has been the subject of much ink in the literature, but seldom have authors approached the breadth of coverage of Steven Ramold's recent contribution Baring the Iron Hand: Discipline in the Union Army. In examining the overall concept, he draws a useful distinction between army discipline on and off the battlefield, with volunteers seeing much more value in the former than the latter. Union soldiers were willing to subordinate themselves to the strictures of army regimentation just enough to make them effective in combat. On the other hand, while in camp or on the march, their insistence on being able to exercise much of the same individual rights and prerogatives of male private citizens was typical, the result of were high levels of insubordination, drunkenness, violence, pillaging, French leave, and desertion. Although it is clear that officers had to make compromises in the imposition of military discipline upon fiercely independent volunteer soldiers, the author perhaps goes a bit far in giving the impression that strict disciplinarians were rejected wholesale. There are many instances in the literature of strict officers being accepted, as long as their discipline was consistently and fairly applied and the officers proved to be good combat leaders as well as honestly solicitous of the general health and material well being of their men. At over 400 pages of main text, Baring the Iron Hand is a lengthy study of the subject. It begins with an overview of the military justice system prior to the Civil War. It then moves on to a discussion of the relations between soldiers and their officers, as mentioned above. What follows these introductory chapters are lengthy examinations of the sources and nature of the myriad of disciplinary problems in the Union army, with frequent hearkening back to a major theme of the friction between the military suppression of individual will and the volunteers's rejection of such attempts at restricting the personal freedoms that their own ideas of manhood in a democratic society demanded. One of these privileges was the drinking of copious amounts of alcohol. Rampant insubordination was another, with privates often challenging the authority of their officers in a vast variety of ways. Additionally, while desertion, straggling, and malingering seriously affected the numbers of men available for participation on the battlefield, other issues such as thievery, violence, and property destruction hindered camp and march discipline. Finally, a pair of chapters near the end of the study look at courts martial and punishment, with Ramold effectively refuting the common misconception that nineteenth century American military justice was unfair in implementation and unduly harsh in sentencing. Rather, the courts were often flexible in their application of military law and lenient (often excessively so) in handing out punishment. The author also makes the interesting point that the provisions of the Lieber Code acted more in the manner of providing retroactive legal support of current behaviors on the part of Union officers and men rather than a forward thinking document seeking to curb potential abuses. The typical structure of Ramold's writing is to put forth a clear statement and then follow it with a large (and one might argue excessive) number of supporting statistics and examples gleaned from the author's extensive research into manuscripts and official records (court and government). More severe editing might have alleviated the often repetitious nature of the narrative, as well as corrected the vast number of typographical errors. However, none of these editorial concerns detract too much from the essential value of Ramold's book, the most comprehensive to date of Civil War studies attempting serious and scholarly examination of the difficult subject of military justice and discipline within the Union army. Those with a special interest in the court martial process, a rather infrequently discussed subject in the literature, will find the work of great worth. Baring the Iron Hand is recommended reading for all Civil War students, well read and new alike. Because on this site I generally stick with books I personally do or might find interesting, I've created something of a sister site that just lists all the upcoming books I can find and organizes them in descending order of pub date. You can also browse by month. For lack of a more inspiring title, I've called it Upcoming American Civil War Books. It's not even close to being up to date yet (esp. for the Fall 2010 months) but should be within the next week or so. There is also a blog roll link for it so check back often. Hopefully, you will find it of use. BTW, feel free to email me with suggestions (preferably with a URL for the book) if you know of one that isn't listed. Gottfried: THE MAPS OF GETTYSBURG: An Atlas of the Gettysburg Campaign, June 3 - July 13, 1863, Revised Full Color Edition"
The overarching question that must be answered with the release of Bradley Gottfried's The Maps of Gettysburg: An Atlas of the Gettysburg Campaign, June 3 - July 13, 1863, Revised Full Color Edition is does the new book provide enough additional value to justify purchasing by those who already have an earlier edition? Each individual will have to decide for himself, but there are significant improvements of both corrective and enhancing natures. 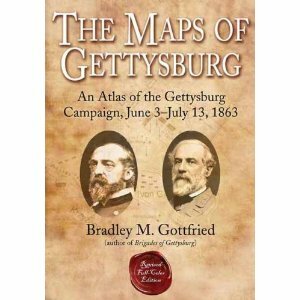 As a bit of background for those unfamiliar with the first edition, the bulk of Gottfried's 144 maps cover the tactical aspects of the battle, with the march to Gettysburg (including the fighting at Winchester and Stephenson's Depot) and the retreat after the battle also mapped. Each map is paired with a full page of descriptive text, and then grouped into 29 "Map Sets". It's an organization that works well. The narrative half of each text/map pairing does not seek to advance new theories or interpretations, but rather provides readers with a straightforward description of events constructed from the best available published sources of all types. Orders of battle, detailed notes, a bibliography, and an index round out the volume. All pages are printed on quality thick glossy paper stock. While I do not generally subscribe to the notion that the introduction of color instantly improves all cartography, it does in this case. This is especially due to Gottfried's detailed work on the terrain (e.g. generalized height contours, vegetation type, roads, trails, fence lines, breastworks, buildings, streams, crop types). The colors really make these natural and man made ground features pop out. With Confederate units in red and Union in blue, opposing battle lines, composed of regiments, batteries, skirmishers, etc., are also more clearly and instantly recognized. A wide criticism of earlier editions centered around the lack of temporal estimates for the events depicted in the maps. This issue has been fully addressed with the placement of the approximate time in the lower right hand corner of each diagram. The text and map errata pages from the first edition have also been incorporated into the new volume. The only downgrade with the revised edition was the decision to forgo the cloth covered spine and boards of the first edition for a lesser quality paper covering. 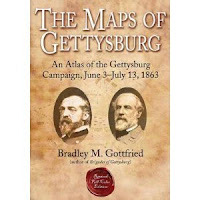 All in all, The Maps of Gettysburg revised edition should provide fresh appeal to the dedicated Gettysburg student and battlefield tramper, as well connoisseurs of Civil War cartography in general. The early release of Chris Hartley's anticipated book Stoneman's Raid, 1865 got me thinking of some of my favorite "cavalry raid" books on my shelves. 1. Sherman's Horsemen: Union Cavalry Operations in the Atlanta Campaign by David Evans. 2. The Lightning Mule Brigade: Abel Streight's 1863 Raid into Alabama by Robert Willett. 5. Carters Raid: An Episode of the Civil War in East Tennessee by William G. Piston. 6. They Died by Twos and Tens: The Confederate Cavalry in the Kentucky Campaign of 1862 by Kenneth Hafendorfer. 9. Plenty of Blame to Go Around: Jeb Stuart's Controversial Ride to Gettysburg by Eric Wittenberg & JD Petruzzi. 12. Yankee Blitzkrieg: Wilson's Raid through Alabama and Georgia by James Pickett Jones. Woodworth (ed. 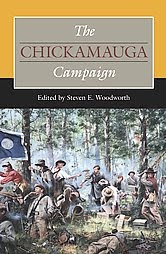 ): "THE CHICKAMAUGA CAMPAIGN"
The second volume from SIU Press and editor Steven Woodworth's Civil War Campaigns in the Heartland series, The Chickamauga Campaign is kicked off by historian Ethan Rafuse, whose essay provides a lengthy descriptive and analytical discussion of the role of Union corps commanders Alexander McCook and Thomas Crittenden in the campaign. Both officers have a fairly terrible martial reputation in the literature, but Rafuse makes a solid case that they performed at least competently up until Chickamauga's second day, where both promptly blew it. Ultimately, McCook and Crittenden were both relieved, although they were exonerated by a subsequent court of inquiry into their Chickamauga performances. In terms of the Army of the Cumberland's future, their removals for the best, but Rafuse believes the more competent Crittenden was the more ill used of the two. In the second essay, general editor Steven Woodworth takes another look at the McLemore's Cove debacle. His concise discussion, from both sides, of the setup and event progression is well done. The article's outlining of the four principle reasons why the situation turned out as it did is also soundly argued. That intelligence provided by unionist civilians was of vital importance in the Union escape is, at least to this reader, a new interpretation on one of the campaign's more infamous episodes. I do think Woodworth's perspective of the Prairie Grove campaign is flawed, at least in how his interpretation of the general's defensive posture on the heights is used to highlight Thomas Hindman's role in aborted battles as indicative of a pattern of choking in big moments of weighty responsibility. In a balanced manner, Alexander Mendoza's contribution looks at the sins of D.H. Hill, egregious though they were at both McLemore's Cove and the final day at Chickamauga. According to the author, although perhaps deserving of censure and removal, Hill was unfairly singled out for blame in the battle's aftermath, perhaps in part due to the North Carolinian's lack of political clout. It strikes one as a reasonable view. Lee White's article details the leadership of A.P. Stewart. He finds "Old Straight"'s handling of his division on September 19, where his command temporarily pierced the federal center, to be the most skillful of any division commander for the entire battle. White goes even further in proclaiming that Stewart was the "only division commander in that army to have delivered a good performance at Chickamauga" (pg. 99), a lofty claim that begs for a detailed comparison of his colleagues beyond the scope of the article. The September 19 night attack of Patrick Cleburne's division is chronicled in John Lundberg's essay, but I'm not sure he sufficiently makes the case that the assault's failure "cost the Confederates a chance for total victory" (pg. 113). Following this is a fresh look at James Longstreet's role in the battle by the dean of Chickamauga scholars, William Glenn Robertson. Longstreet's performance is highly praised in the literature, but Robertson's research finds that the deep column formation that was so successful in the battle was formed more by happenstance that any kind of thoughtful planning, and, overall, Longstreet's tactical approach was more typical of the common frontal attack than any kind of innovation. In the second to last chapter, the unfortunate end of Union General James S. Negley's Civil War career is put under the microscope by David Powell. Though quite ill at the time, Negley performed competently in the Chickamauga campaign and battle up until September 20, when he unilaterally withdrew his intact and badly needed command, along with over 30 guns, from Snodgrass Hill without notifying his superiors, thus leaving his colleagues in the lurch. Along with meticulously reconstructing the day's events as they related to Negley, Powell deftly picks apart the general's case for his own defense. The final essay, by Timothy Smith, explores the post-war career of Army of the Cumberland veteran Henry Boynton, a hard charging journalist who later became a key figure in battlefield preservation and in the formation of the battlefield parks we see today, especially the Chickamauga and Chattanooga NMP. The book does suffer from one serious deficiency. Although the five maps provided are useful for general orientation, none are specifically associated with any of the articles. With no visual aids to guide readers through the many complicated and confusing tactical maneuvers so well detailed in many of the essays, their ability to impart a deeper level of clarity and understanding is significantly reduced. Nevertheless, these eight essays, all effectively written by prominent professional and avocational western theater scholars, comprise a multitude of fresh insights into an important and neglected campaign. The Chickamauga Campaign is highly recommended. Last time I checked, the publisher (Indiana Historical Society Press) does not have a page up for it yet, but the usual online sources have Shadow of Shiloh: Major General Lew Wallace in the Civil War set for release this September. In terms of previous work, I seem to recall a magazine article or two by author Gail Stephens, a retired DoD intelligence analyst and volunteer at Monocacy NB, but no books that I know of. When a friend emailed me the news that Random House is publishing a new Jo Shelby book later this year, my excitement waned considerably as I learned General Jo Shelby's March will be yet another book about the famous Confederate's journey to and exile in Mexico. Ever since Shelby's adjutant and admirer John Newman Edwards published Shelby's Expedition to Mexico: An Unwritten Leaf of the War in 1872, interest in the Missouri general among writers seems to remain largely centered around his time south of the border. Since Andrew Rolle's The Lost Cause: The Confederate Exodus to Mexico (U. of Okla Pr, 1965), there's also been Edwin Adams Davis's Fallen Guidon: The Saga of Confederate General Jo Shelby's March to Mexico (Tex A&M U. Pr, 1995). For a celebrity style Confederate figure, it is a bit surprising there has been only one full length biography, Daniel O'Flaherty's now dated General Jo Shelby, Undefeated Rebel (UNC Pr, 1954) and, just recently, a flawed but interesting military history of his command by Deryl Sellmeyer titled Jo Shelby's Iron Brigade (Pelican, 2007). A truly exceptional book about Shelby's Civil War career has yet to be written. 1. A German Hurrah! : Civil War Letters of Friedrich Bertsch and Wilhelm Staengel, 9th Ohio Infantry trans. and edited by Joseph Reinhart (Kent St. U. Pr, 2010). I've always liked the look and feel of Kent State books and this one is no exception. Reinhart, with his translation and editing work, deserves a lot of credit for bringing to today's Civil War readers the attitudes and experiences of German immigrant officers and soldiers in their own words. A large body of the letters in A German Hurrah!, as much as half this book's text it seems, covers the 1861 western Virginia campaign, so the volume should be of special interest for those students. 2. Recollections of War Times: By An Old Veteran while under Stonewall Jackson and Lieutenant General James Longstreet by William A. McClendon (U. of Ala Pr, 2010). This is the new volume from 'Bama's Seeing the Elephant series. McClendon served in the 15th Alabama, and his memoir was originally published in 1909 by Paragon Press in very limited numbers [**rare book alert**]. Historian Keith Bohannon has added a biographical introduction and an index. 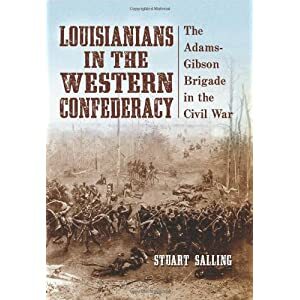 Salling: "LOUISIANIANS IN THE WESTERN CONFEDERACY: The Adams-Gibson Brigade in the Civil War"
Commanded alternately by Randall Lee Gibson and Daniel Weisiger Adams, the western army's Louisiana Brigade had a long and bloody career. It battered itself against the Hornet's Nest at Shiloh on April 6, 1862, suffering tremendous casualties. Later at Perryville, it attacked on the left flank of the main Confederate assault. Coming up against the Union's formidable Round Forest position and later participating in John C. Breckinridge's doomed assault on the right, Murfreesboro further decimated the regiments of the brigade. Returning from a relatively quiet time in Mississippi as part of Joseph E. Johnston's Vicksburg relief army in mid-1863, the Louisianians fought hard at Chickamauga on the Confederate far right flank, getting severely cut up in the process at Kelly Field. Occupying a position on the left center of the Confederate siege lines at Chattanooga, Gibson's brigade was pushed off Missionary Ridge on the late afternoon of November 25, losing almost half of its remaining strength. The men then struggled through the disastrous Atlanta and Tennessee campaigns before finally being overcome at Mobile's Fort Blakely in April 1865. The brigade's role in all of these campaigns and battles is ably described by Stuart Salling in his organizational and military history Louisianians in the Western Confederacy: The Adams-Gibson Brigade in the Civil War. Better than most brigade histories, Salling's narrative traces in detail both the Louisiana Brigade's theater movements as well as its tactical role in each battle (the latter at regimental scale). His writing is supplemented and enriched throughout by the words of participants, discovered through the author's extensive manuscript research. The cartography is exceptional both in number (43) and quality. The operational maps chart the unit's progress on the campaign level, and tactical maps denote the movements and positions of each regiment on the battlefield. A wonderful array of well reproduced photographs, most of which I've never seen before, are also sprinkled liberally throughout the text. In a series of Gibson images, readers observe the striking aging effect the war had on the general. An essential component of a good Civil War brigade history, especially one as unstatic in composition as the Adams-Gibson Brigade, is a careful accounting of its organization over time. In this regard, Salling once again performs exceptionally well, dutifully noting the comings and goings of various regiments and battalions (an excellent chart for the period between April and August 1862 is available on pg. 57), while also keeping in mind unit consolidations and reconstitutions, as well as strengths and losses at regular intervals. By the time of Hood's 1864 Tennessee Campaign, Gibson was down to a sad remnant of 660 men in ten regiments and battalions. Numerous capsule biographies of the endless parade of regimental, battalion, and battery officers that served with the Louisiana Brigade are also provided. Many readers will be familiar with Braxton Bragg's seemingly special antipathy directed toward Randall Gibson, essentially blocking Gibson's promotion to brigadier general until the army commander's own removal and replacement by Joe Johnston removed the obstacle. The only serious source of complaint is with the numerous editing failures, mostly with proper names. It won't help the early purchasers, but I've been informed that these will be fixed in a later printing (3rd or 4th). Other than that, Louisianians in the Western Confederacy is highly recommended reading for western theater students. If you are not typically a fan of the greater run of Civil War brigade studies (as I am not), Stuart Salling's notably strong effort is the type of book that can change your mind. Thanks to all who commented on the original post. Edward Steere The Wilderness Campaign: The Meeting of Grant and Lee and Richard Moe The Last Full Measure: The Life and Death of the First Minnesota Volunteers . Edwin B. Coddington The Gettysburg Campaign: A Study in Command . James V. Murfin The Gleam of Bayonets: The Battle of Antietam and Robert E. Lee's Maryland Campaign, September 1862 . Phil Gottschalk In Deadly Earnest: The History of the First Missouri Brigade, CSA .